Established in 1733, Savannah, Georgia is a charming Southern escape where art, period architecture, trendy boutiques and ghost stories are all set under a veil of Spanish moss. Savannah is a place where cuisine comes straight from the coast and cocktails are served at every meal. Registration, exhibits/posters, and education sessions will take place at the Savannah International Trade & Convention Center. 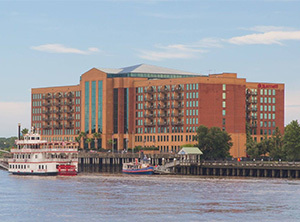 Hotel rooms are currently available at the Savannah Marriott Riverfront. *Please note that if you are staying at the Savannah Marriott Riverfront you will need to take a complimentary and quick ride on the Savannah Belles Ferry System that links downtown Savannah and Hutchinson Island, Site of the Savannah International Trade & Convention Center & the Westin Savannah Harbor Golf Resort & Spa. 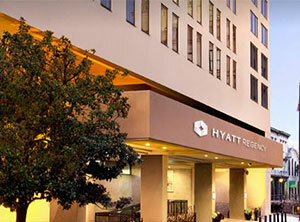 The Hyatt Regency Savannah is currently full due to high demand. We recommend checking back in case of cancellations closer to the conference. 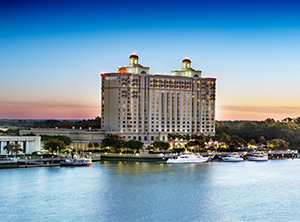 *Please note that if you are staying at the Hyatt Regency Savannah you will need to take a complimentary and quick ride on the Savannah Belles Ferry System that links downtown Savannah and Hutchinson Island, Site of the Savannah International Trade & Convention Center & the Westin Savannah Harbor Golf Resort & Spa. The Westin Savannah Harbor Golf Resort & Spa is currently full due to high demand. We recommend checking back in case of cancellations closer to the conference. The official airport shuttle provider for the Savannah/ Hilton Head International Airport To Downtown Savannah.